Pink Belt Scholarship set to change lives! In the Participation space an accredited Australian Taekwondo Schools program; an Older Australians modified Taekwondo Program; national promotion of the benefits of Taekwondo. See article below "Participation Plan 2018-2020". In the competition space it will be a very busy year domestically with the return of the Australian Open, Oceania Championships selections, the WT President's Cup Oceania and the Nationals on the Gold Coast and the Master's Games. Internationally, our teams will be competing in the World Senior Championships, Universiade, Oceania Championships and Pacific Games. In closing the year, the Board, Executive and Staff of Australian Taekwondo wish all of our members the very best for Christmas and the New Year, and we look forward to working with you throughout 2019. 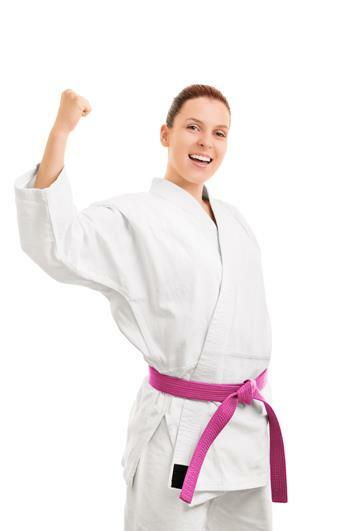 Several Australian women in need have been awarded Pink Belt Scholarships – a joint project by a West Australian Taekwondo mum blogger and Australian Taekwondo to empower women through martial arts. Thanks to a crowdfunding aspect of the project, two women who are both former victims of domestic violence – one in WA and one in New South Wales – have received $2,000 to cover all expenses associated with one year of Taekwondo training at their local school. Funds will be paid direct to the two schools where the women will begin their training early in 2019. In accepting the appointment, Ross thanked Oh Do Kwan Grand Masters Yong Koo Moon, Jae-Yoon An and Man Seek Choe for their assistance and friendship. Following her recent research highlighting the importance of lifestyle, relationships, psychological and performance factors in elite sport, Lauren is conducting a national survey of elite athletes. She now needs your support to ensure as many athletes as possible within your sport complete the survey so that the results are relevant to you. This research will produce information that will assist you and your athletes plan for future success. For more information see attached NSO information sheet. - Please forward the letter from Lauren (containing the link to the survey) to all athletes within your sport who have competed at State level or above, in the past 10 years. The letter can be found HERE and information sheet HERE. - Please contact Lauren Burns via email laurenburns8@icloud.com to provide the number of athletes who fit this criteria. This will allow the researchers to calculate a response rate and determine how representative the sample is. Thank you for your support in assisting the success of Australian athletes. 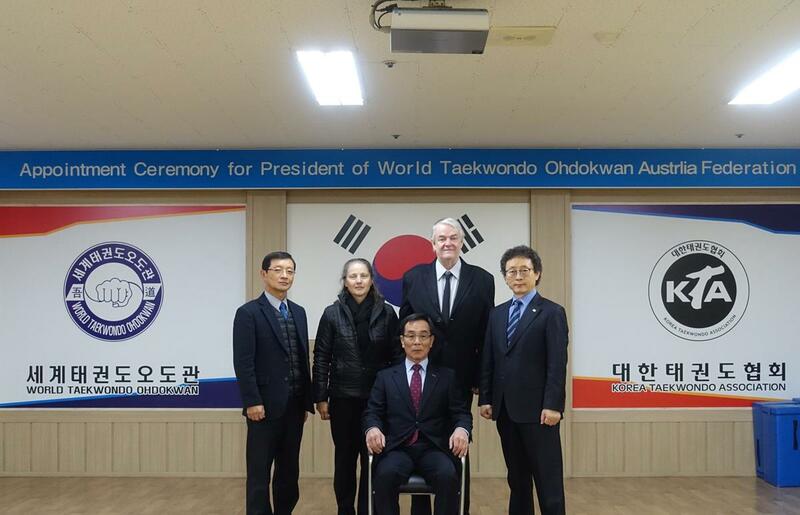 Australian Taekwondo(AT) is pleased to announce that World Taekwondo has provided us with an equipment grant of $11,000 comprisiing two octagonal courts and two Daedo electronic hogus. AT is very appreciative of WT's support for the development of Taekwondo in Australia. Our goal is to develop Taekwondo as both a martial art and a high-performance sport under the banner of “Taekwondo For All”, and through the development and implementation of this Participation Plan is working to create greater opportunities to engage in Taekwondo in all its forms. The development of the Participation Plan confirms our commitment to strategic planning and to the implementation of programs which will enhance participation at all levels. Australia’s position in Taekwondo on the world stage can only be sustained by healthy levels of national participation and by the maintenance of clear pathways to elite levels. Of equal importance is that Taekwondo is accessible to anyone with an interest through fun and inclusive programs. 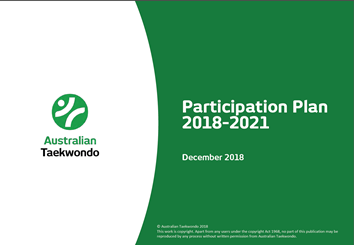 This participation plan addresses key areas identified by stakeholders from our member research, reflects the Australian Taekwondo Strategic Plan and align with Federal Government objectives. Sport Australia’s expanded vision will also include an enhanced role to increase physical activity more broadly of which Australian Taekwondo can make a valuable contribution to. 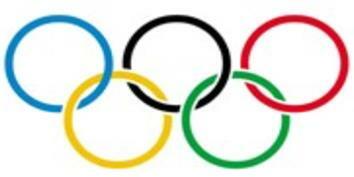 Australian Taekwondo is pleased to announce that Australia will host the Olympic Qualification Tournament for the 2020 Tokyo Olympic Games. The event will be held on the Gold Coast on Saturday 29 February 2020. The Tournament serves as the event for the Oceania nations to qualify athletes for the 4 female and 4 male divisions to contest the Olympic Games with each nation limited to a quota of 2 female and 2 male athletes. 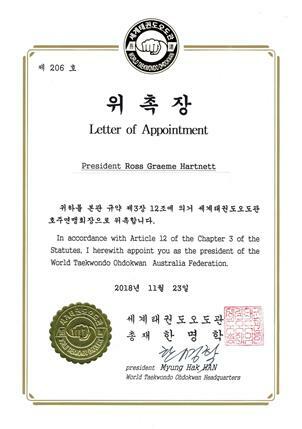 This will also be the first time that a Taekwondo Olympic Qulaification event has been held in Australia and we thank World Taekwondo Oceania for supporting our bid, and the WT for awarding the tournament to Australia. Australian Taekwondo’s High Performance Plan illustrates the key objectives and strategies required to deliver on the sports strategic vision of being a world respected taekwondo nation that strives for podium performances. In developing this plan Australian Taekwondo, in partnership with the Australian Institute of Sport (AIS) Combat Centre, has referenced recent performance outcomes and engaged a range of key stakeholders to gain views on the potential future direction of the high performance program. 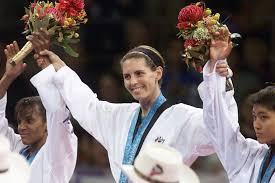 While this plan is through until the 2020 Olympic Games, there are other key event milestones within and beyond this period that will influence the objectives and strategies of the Australian Taekwondo High Performance program each year. This will enable a balanced program that looks to deliver performance outcomes at more immediate key events, while also setting the sport up to enable sustainable performance outcomes into the future. The Sport Science Sport Medicine (SSSM) Framework has been developed to ensure a safe approach to SSSM for Taekwondo athletes throughout Australia. A Supplements Policy sets out the principles guiding Supplement use in Taekwondo in Australia. An Injections and Medications Policy developed to ensure that AT continues to provide an environment that has the best interests of the athlete in mind and maintains the highest standards of integrity for the sport and all of its participants. An Anti-Match Fixing Policy to protect and maintain the integrity of the sport of Taekwondo and protect against any efforts to impact improperly the result of any match or event. The World Anti-Doping Agency (WADA) has published the list of Prohibited Substances which will come into effect on 1 January 2019. Athletes, Coaches and Instructors should inform themselves of these. The Australian Institute of Sport (AIS) has issued a Position Statement on Concussion In Sport, which AT has fully endorsed. An Infographic is also available to readily understand the safe return to sporting activities, including Club Training. Athlete Categorisation is a Sport Australia system-wide framework for categorising athletes in an attempt to provide consistency across sports in identifying and subsequently supporting Australia’s best current and future medal prospects at Olympic, World Championship and Commonwealth Games level. The Athlete Categories as it relates to Taekwondo consists of six levels. Podium, Podium Ready, Podium Potential, Developing and Emerging categories and are the podium pathway, and where Australian Taekwondo and the Australian Institute of Sport Combat Centre resources will be prioritised. The International category is also provided to recognise those athletes that have yet to meet the performance criteria within the podium pathway, but have represented Australia at the sport's most recent benchmark event. Athlete categorisation are conducted every six months to ensure that recent perfomances are recognised. The categorisation criteria can be docwnloaded HERE. The November review was recently comlpleted with the following athletes being categorised. We advise that the selection for the Australian Team for the 2019 Oceania Championships, which were previously advised to be held in April 2019, will now be held on Saturday 8 June 2019 in Sydney at the Whitlam Centre, Liverpool. World Taekwondo Oceania have confirmed that only Kyorugi Senior Black Belt categories will be contested. The final Play by the Rules magazine for the year is out now - you may want to check it out. The feature articles include a look at the great work of the GingerCloud Foundation, winner of the Play by the Rules Award. We look at Member Protection and the importance of confidentiality and Clyde Rathbone reflects on the year and asks if the antics of some of our sports stars really impacts on grass roots participation.